At first I thought this was a fluke, but I've now built well over 50 of these servers and I can't seem to find a solution. We are deploying HP DL360 G7's. Before you used to be able to hit F8 during boot up to enter into a ROM based setup utility for iLO. However now it simply shows a mention of iLO during POST, but you don't get a chance to press F8. Even if you spam the F8 key, you'll see the briefest flash of the "Press F8 to Configure" message which almost immediately disappears. It then continues on through POST. Has anyone else had this issue? Is there any way to resolve it? I have 17 servers I need to build today and the online config tool isn't an option (in an isolated build environment). Any help would be very much appreciated, thank you. Note: You can also configure the ILO directly from the HP SmartStart DVD included with the system. 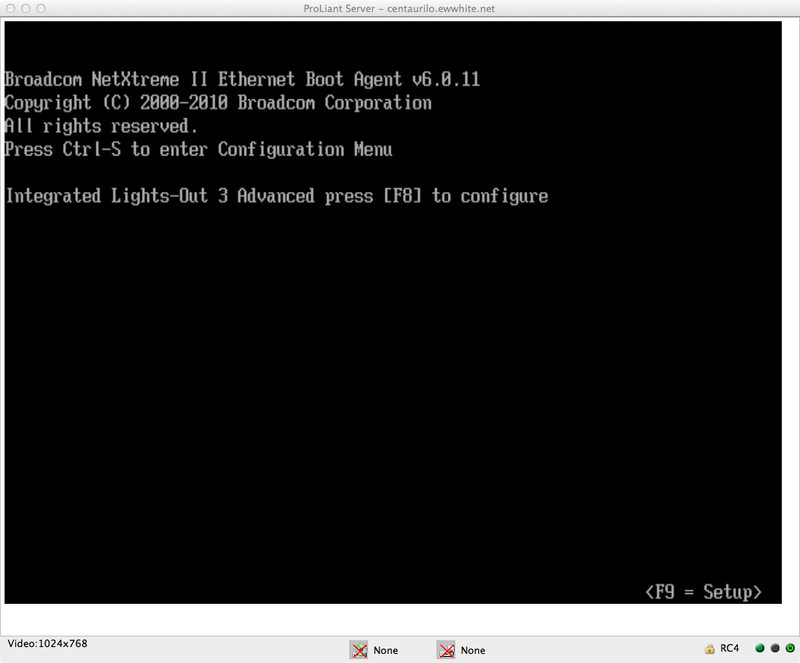 Also, there's a way to script the ILO and BIOS configs in a pre-boot environment (see: conrep). This may be helpful given the number of systems you have to build. 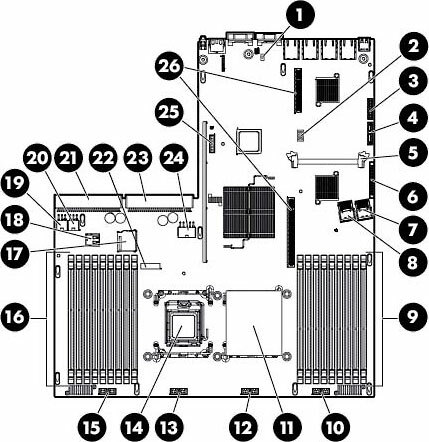 I'm running this step-through on an HP ProLiant DL360 G7 server to show you the critical points to make your keyboard selections. The "Sea of Sensors" POST routine takes roughly 1:50 from the first screen prompt (on a warm-boot) to step through RAM checks and to register the sensors. After the ambient temperature display, you will receive a prompt to "Press any key to view Option ROM messages" - Press any alpha-key on the keyboard at this point. From that point, you'll have < 0:14 to the point where the ILO3 configuration prompt surfaces. Press F8 as soon as you see the message. You have a 2-second window to do so. Here, you can make your ILO changes and save them. The system will continue booting once you exit the BIOS utility. One more item if you're really having a problem getting the prompt. You can set the ILO Security DIP switch on the server's motherboard. Are these systems completely new, or was some configuration applied by another party? Identify the system maintenance switch (#2 in the diagram below) and flip the switch in position #1 to ON. Reboot and follow the same sequence in the diagrams above, but you'll get a prompt to get into the ILO config at the right time. For some reason the only way I was able to get it was, when seeing the "press any key for bios messages", I hit F8. Then the screen flashed and began showing BIOS messages. As soon as it began showing iLO configuration info, it brought me into the iLO configuration menu. Weird. It may just be the way they're preconfigured when they hit our company. Not the answer you're looking for? 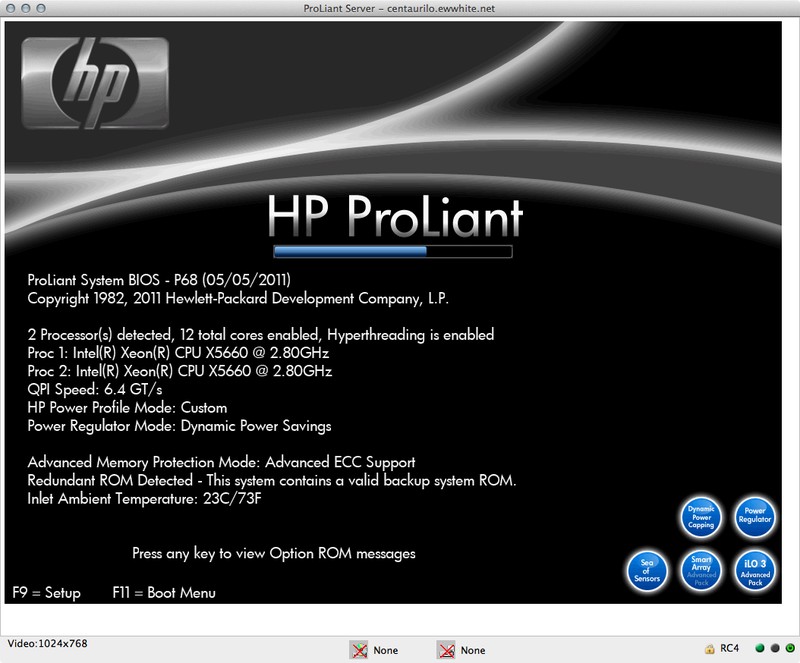 Browse other questions tagged hp hp-proliant ilo or ask your own question. HP ProLiant DL360 iLO usage?